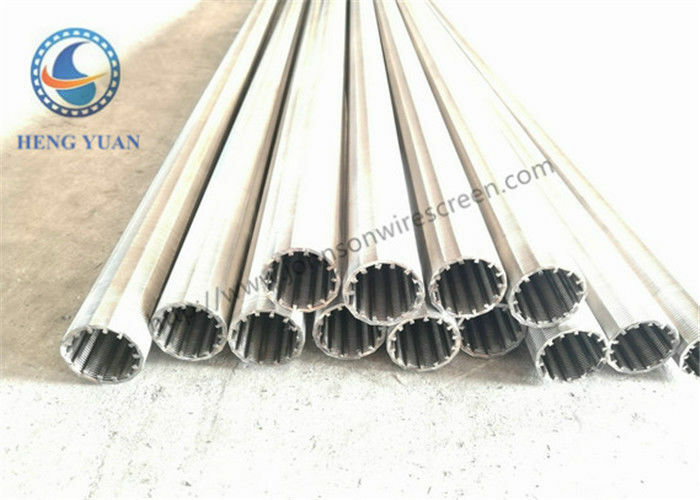 Jonson Vee wire screen is made by winding cold-rolled wire, approximately triangular in cross section, around a circular array of the longitudinal rods. The wire is attached to the rods by welding, producing rigid one-piece units having high strength characteristics at minimum weights.There is a fixed value slot between each v wire, and the continuous slot, designed to provide maximum open are to reduce entrance velocity, increase hydraulic efficiency and promote more effective development. 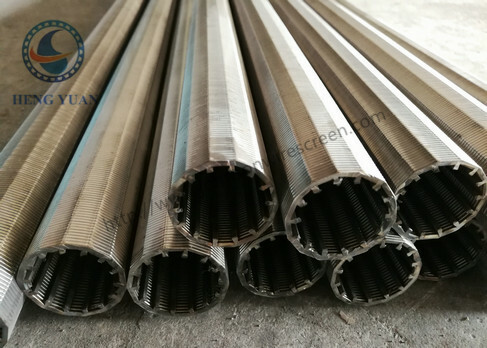 Screens with high open area are more suitable for the construction of high-quality water wells, oil wells and gas wells. Low cost operation Screens with high open area shall favor groundwater infiltration. Abundant water shall reduce the water level’s down, thus to save energy consumption. Please tell us the specification of the wire screen you need, and we will help you to process the high quality products. Filter pipe material: mainly stainless steel, carbon steel galvanized, carbon steel spray or other customer requirements material. 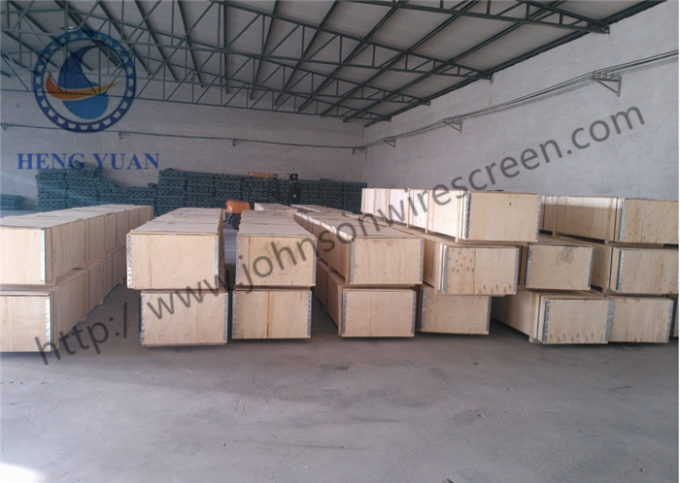 Gap: 0.1mm-15mm, arbitrarily selected screen size to meet different construction requirements. Diameter: 2 " 3 " 4 " 5 " 6 " 8 " 10 " 12 " 14 " 16 " 20 ". 29 mm - 1000 mm. Length: 2.9 M, 5.85 M. Up to 6 M.
Connection form: groove connection/weld ring connection or thread connection.